Volatility is the degree of variation of a trading price over time. Tumultuous times in the forex markets has led to a decline in revenue for Rakuten Securities. The company posted a 75% revenue decline in the first quarter of the year as low volatility continues to haunt the markets. Bad times are looming over Rakuten The Japanese retail broker Rakuten Securities released its financial report for Q1 2019 on Wednesday. It is a subsidiary of e-commerce company Rakuten. The report suggests that the company earned only 14.4 billion yen (about $128.6 million) in the first three months of the year. Last year, it earned 55.9 billion yen (about $500 million). The firm lost 3/4th of its revenue this year, signaling tough times for the broker ahead. The operating income of the company isn’t in a good place either, marking a staggering 85% decline. In the first quarter, it earned 3.3 billion yen (about $29.5 million) as against 20.6 billion yen ($184.2 million) last year. The net income was equally bad with the firm earning only 1.9 billion yen (about $17 million), showing a whopping 86% decline. In Q1 2018, the firm earned 13.1 billion yen ($117.1 million). What is making Rakuten’s revenue fall? The primary cause of the decline seems to be external- the forex markets have been experiencing low volatility recently. Though Rakuten offers several asset classes to its traders, forex is an important part of its business. In the past few months, forex markets have been dead, and the trading volumes have been very low. Though the Japanese company looks in particularly bad shape, it isn’t the only victim of an uninteresting market- other companies have also landed in the soup. Its parent company is planning a move into digital currencies with the Rakuten Wallet- a new crypto exchange that could rattle the likes of Alibaba and Amazon into entering the business as well. The company acquired Everybody’s Bitcoin- a cryptocurrency exchange, in August last year for 265 million yen (about $2.4 million). It has since rebranded the exchange to further diversify its offerings for the customers. The post Rakuten Securities Suffers 75% Decline in Revenue amidst Low Volatility appeared first on FXTimes.com - Daily Cryptocurrency and FX News. It looks like the most recent set of product intervention powers will be directed at the massive risks that retail business owners face. Following the series of notices coming from the desks of the Australian Securities and Investments Commission (ASIC), it is noteworthy to point out a much-overlooked point. At a meeting not long ago in Sydney, a high-ranking executive in charge of market regulation in ASIC, Ms. Calissa Aldridge dropped some opinions that revealed what ASIC was thinking about the retail brokerage activities. Even though linking up extra market activities with leveraging may not raise too many eyebrows, it definitely gets some attention when the initial source is the regulatory body. Even though the target is on regulators from Europe making alarming retail clients shedding a lot of cash on the trading floor, ASIC is devoting more time to the link between how the market is organized and the leverage it considers totally absurd. Regulatory Body Zooms in on Leverage ASIC’s senior executive Calissa Aldridge did not waste time in making very clear their worries with the brokers on the Australian market. Branding the brokers over their worrisome leverage practices is just one side of the crisis. The way the entire market has been organized is another source of major worry for the regulatory agency. Clearly, in the know of the transformation on the trading floor in recent years, ASIC clarified on the risks of volatile cash slump situations which the agency believes is not getting the adequate attention that it deserves. The advent of algorithms on the trading floors have only increased the possibility of financial crises leading to devastating outcomes. Aldridge pointed out that regular observing 500:1 leveraging transaction during trading is clearly not a good option, especially for retail marketers who do not have all the needed experience and skills. The point being focused on here by the regulator can be argued because only a few investors are trading with such leverage values. Bulk Customers and Volatile Security Price Slumps The regulatory body has done the grouping of retail and bulk customers based on exposure in the market. However, ASIC has lately pointed out that brokers should refrain from using sheer sizes alone to conclude on eligibility for bulk volume transactions. An alternative option presented by the regular is that trading brokers should peg the limit of consideration at a nominal capital of a minimum of half a million dollars. While commenting on volatile security price slumps, Ms. Aldridge believes that similar critical events should be envisaged at all platforms of all markets. These events have devastating effects on not only the bulk volume transactions but also the retail sector as well. After all the back and forth talk, it was observed that ASIC does not have the authority to impose a ban on various products. This cannot be done prior to the political moves in the Australian parliament which empowered ASIC in the first place even though a thorough definition of the depth and width of these powers remains a source of controversy. The post Regulatory Agency Concerned About Leveraging Practices and Volatile Security Price Slumps in Australia appeared first on FXTimes.com - Daily Cryptocurrency and FX News. Bitcoin [BTC], the largest cryptocurrency by market cap, has been through a roller coaster ride for over a year. 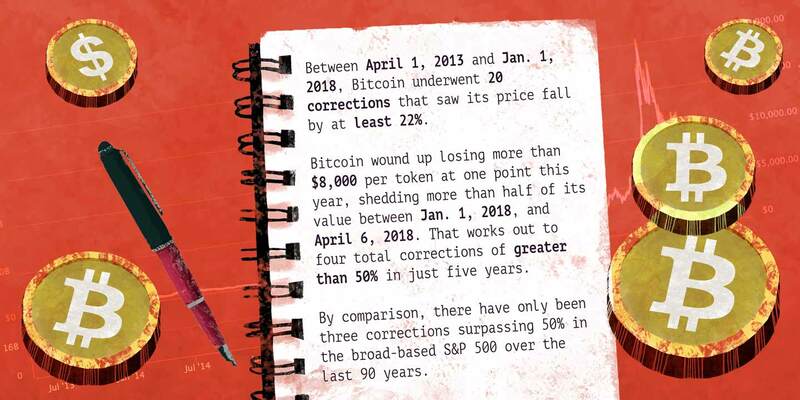 The coin that led the bull run in late 2017 witnessed a fall of over 80 percent last year, thereby resulting in the doom of other coins in the market as well. Nevertheless, this year seems to be in favor of the coin, with some influencers claiming the coin already reached its bottom. More so, the coin reached its highest point in the last five months as it breached the $5,500 mark earlier today. According to CoinMarketCap, at press time, Bitcoin was trading at $5600.93 with a significant rise of over 9 percent in the past seven days. Anthony Pompliano aka Pomp, the co-founder and Partner at Morgan Creek, spoke about the coin’s upward trend in a blog post titled ‘Bitcoin fundamentals continue to strengthen’. He said on Twitter, “Bitcoin’s fundamentals continue to strengthen. Don’t be distracted by the noise. 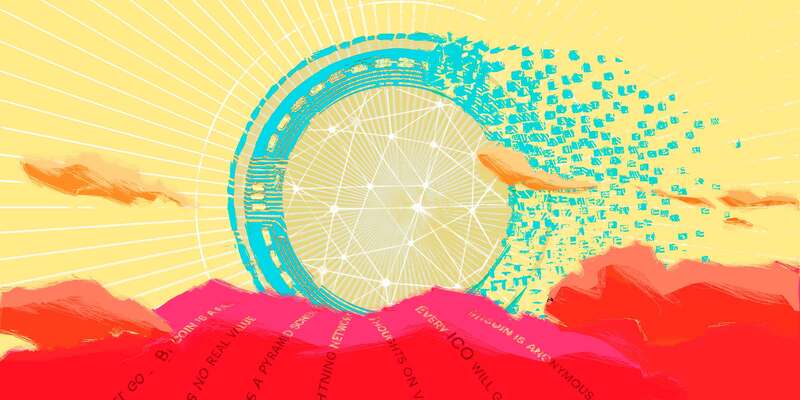 Those with the greatest discipline and patience will be rewarded handsomely.” This was followed by the Bitcoin proponent remarking that the price of the largest cryptocurrency was up by almost 50 percent since the beginning of this year. He stated that the focus should be on the “underlying fundamentals of the transaction settlement network” rather than its volatility. He further listed down the fundamentals of the currency, which included the total coins in circulation, hash rate, mining revenue, cost per transaction, confirmed transaction, Bitcoin wallets, and its computing power. In terms of the coins in circulation, the influencer commented that there were already 17,700,000 coins, considering that only 21,000,000 would ever be in circulation. Pomp also stated that Bitcoin’s hash rate witnessed a significant rise of over 10x over the last two years, adding to the network’s security. While the miner’s daily revenue has also seen a prominent rise of around 3.5x, compared to the previous two years. The blog post stated, “The cost per transaction has more than doubled in the last two years, but has fallen more than 60% over the last 12 months […] The number of transactions per day on the Bitcoin blockchain have increased over 70% in the last two years […] The total number of Bitcoin blockchain wallets has increased over 2.5x in the last two years.” Source: offthechain He said, “Bitcoin is a highly volatile asset. It is misunderstood by many. But one thing is certain, the digitally native currency continues to strengthen over time. As with anything important in life, the maturation and mass adoption of Bitcoin will take time.” The post Bitcoin [BTC] is a highly volatile asset but it continues to strengthen over time, says Pomp appeared first on AMBCrypto. How volatile is the most famous cryptocurrency?